People. Bolivia's ethnic distribution is estimated to be 56%-70% indigenous people, and 30%-42% European and mixed. The largest of the approximately three-dozen indigenous groups are the Quechua (2.5 million), Aymara (2 million), Chiquitano (180,000), and Guarani (125,000). 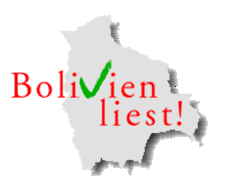 There are small German, former Yugoslav, Asian, Middle Eastern, and other minorities, many of whose members descend from families that have lived in Bolivia for several generations. Bolivia is one of the least-developed countries in South America. Almost two-thirds of its people, many of whom are subsistence farmers, live in poverty. Population density ranges from less than one person per square kilometer in the southeastern plains to about 10 per square kilometer (25 per sq. mi.) in the central highlands. The annual population growth rate is about 2.74% (2004). La Paz is at the highest elevation of the world's capital cities--3,600 meters (11,800 ft.) above sea level. The adjacent city of El Alto, at 4,200 meters above sea level, is one of the fastest-growing in the hemisphere. Santa Cruz, the commercial and industrial hub of the eastern lowlands, also is experiencing rapid population and economic growth. The cultural development of what is present-day Bolivia is divided into three distinct periods: pre-Columbian, colonial, and republican. Important archaeological ruins, gold and silver ornaments, stone monuments, ceramics, and weavings remain from several important pre-Columbian cultures. Major ruins include Tiwanaku, Samaipata, Incallajta, and Iskanwaya. The country abounds in other sites that are difficult to reach and have seen little archaeological exploration. The Spanish brought their own tradition of religious art which, in the hands of local indigenous and mestizo builders and artisans, developed into a rich and distinctive style of architecture, painting, and sculpture known as "Mestizo Baroque." The colonial period produced not only the paintings of Perez de Holguin, Flores, Bitti, and others but also the works of skilled but unknown stonecutters, woodcarvers, goldsmiths, and silversmiths. An important body of native baroque religious music of the colonial period was recovered in recent years and has been performed internationally to wide acclaim since 1994. Bolivian artists of stature in the 20th century include, among others, Guzman de Rojas, Arturo Borda, Maria Luisa Pacheco, and Marina Nunez del Prado. Bolivia has rich folklore. Its regional folk music is distinctive and varied. The "devil dances" at the annual carnival of Oruro are one of the great folkloric events of South America, as is the lesser known carnival at Tarabuco. History and political conditions. The Andean region probably has been inhabited for some 20,000 years. Beginning about the 2nd century B.C., the Tiwanakan culture developed at the southern end of Lake Titicaca. This culture, centered around and named for the great city of Tiwanaku, developed advanced architectural and agricultural techniques before it disappeared around 1200 A.D., probably because of extended drought. Roughly contemporaneous with the Tiwanakan culture, the Moxos in the eastern lowlands and the Mollos north of present-day La Paz also developed advanced agricultural societies that had dissipated by the 13th century of our era. In about 1450, the Quechua-speaking Incas entered the area of modern highland Bolivia and added it to their empire. They controlled the area until the Spanish conquest in 1525. During most of the Spanish colonial period, this territory was called "Upper Peru" or "Charcas" and was under the authority of the Viceroy of Lima. Local government came from the Audiencia de Charcas located in Chuquisaca (La Plata--modern Sucre). Bolivian silver mines produced much of the Spanish empire's wealth, and Potosi, site of the famed Cerro Rico--"Rich Mountain"--was, for many years, the largest city in the Western Hemisphere. As Spanish royal authority weakened during the Napoleonic wars, sentiment against colonial rule grew. Independence was proclaimed in 1809, but 16 years of struggle followed before the establishment of the republic, named for Simon Bolivar, on August 6, 1825. Living conditions of the indigenous peoples, who constituted most of the population, remained deplorable. Forced to work under primitive conditions in the mines and in nearly feudal status on large estates, they were denied access to education, economic opportunity, or political participation. Bolivia's defeat by Paraguay in the Chaco War (1932-35) marked a turning point. Great loss of life and territory discredited the traditional ruling classes, while service in the army produced stirrings of political awareness among the indigenous people. From the end of the Chaco War until the 1952 revolution, the emergence of contending ideologies and the demands of new groups convulsed Bolivian politics. Revolution and Turmoil. The Nationalist Revolutionary Movement (MNR) emerged as a broadly based party. Denied its victory in the 1951 presidential elections, the MNR led the successful 1952 revolution. Under President Victor Paz Estenssoro, the MNR introduced universal adult suffrage, carried out a sweeping land reform, promoted rural education, and nationalized the country's largest tin mines. Twelve years of tumultuous rule left the MNR divided. In 1964, a military junta overthrew President Paz Estenssoro at the outset of his third term. The 1969 death of President Rene Barrientos, a former member of the junta elected President in 1966, led to a succession of weak governments. Alarmed by public disorder, the military, the MNR, and others installed Col. (later General) Hugo Banzer Suarez as President in 1971. Banzer ruled with MNR support from 1971 to 1974. Then, impatient with schisms in the coalition, he replaced civilians with members of the armed forces and suspended political activities. The economy grew impressively during most of Banzer's presidency, but human rights violations and eventual fiscal crises undercut his support. He was forced to call elections in 1978, and Bolivia again entered a period of political turmoil. Elections in 1978, 1979, and 1980 were inconclusive and marked by fraud. There were coups, counter-coups, and caretaker governments. In 1980, Gen. Luis Garcia Meza carried out a ruthless and violent coup. His government was notorious for human rights abuses, narcotics trafficking, and economic mismanagement. Later convicted in absentia for crimes, including murder, Garcia Meza was extradited from Brazil and began serving a 30-year sentence in 1995. After a military rebellion forced out Garcia Meza in 1981, three other military governments in 14 months struggled with Bolivia's growing problems. Unrest forced the military to convoke the Congress elected in 1980 and allow it to choose a new chief executive. In October 1982--22 years after the end of his first term of office (1956-60)--Hernan Siles Zuazo again became President. Severe social tension, exacerbated by economic mismanagement and weak leadership, forced him to call early elections and relinquish power a year before the end of his constitutional term. Return to Democracy. In the 1985 elections, the Nationalist Democratic Action Party (ADN) of Gen. Banzer won a plurality of the popular vote (33%), followed by former President Paz Estenssoro's MNR (30%) and former Vice President Jaime Paz Zamora's Movement of the Revolutionary Left (MIR, at 10%). But in the congressional run-off, the MIR sided with MNR, and Paz Estenssoro was chosen for the fourth time as president. When he took office in 1985, he faced a staggering economic crisis. Economic output and exports had been declining for several years. Hyperinflation had reached an annual rate of 24,000%. Social unrest, chronic strikes, and unchecked drug trafficking were widespread. In 4 years, Paz Estenssoro's administration achieved economic and social stability. The military stayed out of politics, and all major political parties publicly and institutionally committed themselves to democracy. Human rights violations, which badly tainted some governments earlier in the decade, were not a problem. However, Paz Estenssoro's remarkable accomplishments were not won without sacrifice. The collapse of tin prices in October 1985, coming just as the government was moving to reassert its control of the mismanaged state mining enterprise, forced the government to lay off over 20,000 miners. The highly successful shock treatment that restored Bolivia's financial system also led to some unrest and temporary social dislocation. MNR candidate Gonzalo Sanchez de Lozada finished first in the 1989 elections (23%), though, as usual, no candidate received a majority of popular votes so Congress determined who would be president. The Patriotic Accord (AP) between Gen. Banzer's ADN and Jaime Paz Zamora's MIR, the second- and third-place finishers (at 22.7% and 19.6%, respectively), led to Paz Zamora’s assuming the presidency. Paz Zamora was a moderate, center-left president whose political pragmatism in office outweighed his Marxist origins. He continued the neoliberal economic reforms begun by Paz Estenssoro. Paz Zamora also took a fairly hard line against domestic terrorism, a 1990 attack on terrorists of the Nestor Paz Zamora Committee and authorizing the 1992 crackdown on the Tupac Katari Guerrilla Army (EGTK). The 1993 elections continued the tradition of open, honest elections and peaceful democratic transitions of power. The MNR defeated the ruling coalition, and the "Goni" Sanchez de Lozada was named president by a coalition in Congress. Sanchez de Lozada pursued an aggressive economic and social reform agenda, relying heavily on successful entrepreneurs-turned-politicians like himself. The most dramatic program--"capitalization", a form of privatization under which investors acquired 50% ownership and management control of the state oil corporation, telecommunications system, airlines, railroads, and electric utilities, with moneys directed to the pension system instead of the Treasury--was strongly opposed by certain segments of society, with frequent and sometimes violent protests from 1994 through 1996. In the 1997 elections, Gen. Hugo Banzer, leader of the ADN, beat the MNR candidate (22% of the votes. 18%). The Banzer government basically continued the free market and privatization policies of its predecessor, and the relatively robust economic growth of the mid-1990s continued until regional, global and domestic factors contributed to a decline in economic growth. Job creation remained limited throughout this period, and public perception of corruption was high. Both factors contributed to increasing social protests during the second half of Banzer's term. Banzer instructed special police units to physically eradicate the illegal coca of the Chapare region. The policy produced a sudden and dramatic four-year decline in Bolivia's illegal coca crop, to the point that Bolivia became a relatively small supplier of coca for cocaine. In 2001, Banzer resigned from office after being diagnosed with cancer. He died less than a year later. Banzer's U.S.-educated Vice President, Jorge Quiroga, completed the final year of the term. Current Administration. In the 2002 national elections, former President Gonzalo Sanchez de Lozada (MNR) again placed first with 22.5% of the vote, this time followed by illegal-coca agitator Evo Morales (Movement Toward Socialism, MAS) with 20.9%. The MNR platform featured three overarching objectives: economic reactivation (and job creation), anti-corruption, and social inclusion. A four-year economic recession, tight fiscal situation, and longstanding tensions between the military police led to the February 12-13, 2003 violence that left more than 30 people dead and nearly toppled the Sanchez de Lozada’s government. The government stayed in power but remained unpopular. Trouble began again in September 2003 when a group of tourists became trapped in the town of Sorata. After days of unfruitful negotiations, the Government of Bolivia security forces launched a rescue operation, but on the way out, were ambushed by armed peasants and a number of persons were killed on both sides. The incident ignited passions throughout highlands and united a loose coalition of protestors to pressure the Government of Bolivia into halting the proposed project to export liquefied natural gas, most likely through Chile. Anti-Chile sentiment and memories of three major cycles of non-renewable commodity exports (silver through the 19th century, guano and rubber later in that century and tin in the 20th century) touched a nerve with many citizens. Events slowly built as La Paz became trapped by the protester's blockades. Violent confrontations ensued, and most of the 60-80 deaths occurred when security forces tried to bring supplies into the surrounded city. In the end, many ordinary citizens pressured Sanchez de Lozada to resign on October 17, 2003 to prevent further bloodshed. After a vote in Congress, Vice President Carlos Mesa Gisbert assumed office and restored order. Mesa appointed a non-political cabinet and promised to revise the constitution through a constituent assembly, revise the hydrocarbons law, and hold a binding referendum on the country’s natural gas deposits. The referendum took place on July 18, 2004, and Bolivians voted overwhelmingly in favor of development of the nation’s hydrocarbons resources. But the referendum did not end social unrest. Large-scale protests led to Congress approving a confiscatory hydrocarbons law on May 17, 2005. After a brief pause, however, demonstrations resumed, particularly in La Paz and El Alto. President Mesa offered his resignation June 6, and Eduardo Rodriguez, the president of the Supreme Court, assumed office in a constitutional transfer of power. Rodriguez announced that he was a transitional president and would call for early elections within six months.